A former chief editor of a major Hong Kong newspaper known for its critical reporting was stabbed and seriously wounded on Wednesday in an attack that has fuelled concerns about what many see as an erosion of media freedoms. Hong Kong’s ranking for press freedom has fallen to a five-year low of 58 among 179 places worldwide, the latest index compiled by Reporters Without Borders shows. Russia restricted news coverage of sensitive issues of Sochi games while its FSB security service aimed at monitoring all communications during that period. English and Chinese language queries for terms such as ‘Dalai Lama’ return radically different results on Microsoft search engine “Bing”. 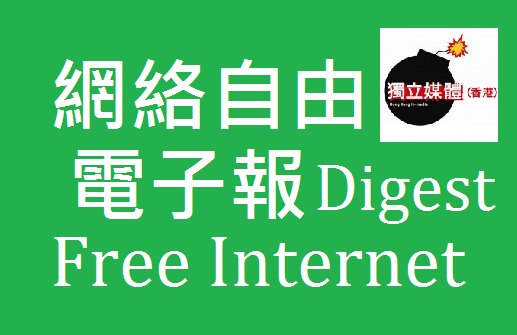 The newsletter is issued by Hong Kong In-Media to promote concern on local and international internet issues. Subscribe and stay tune.